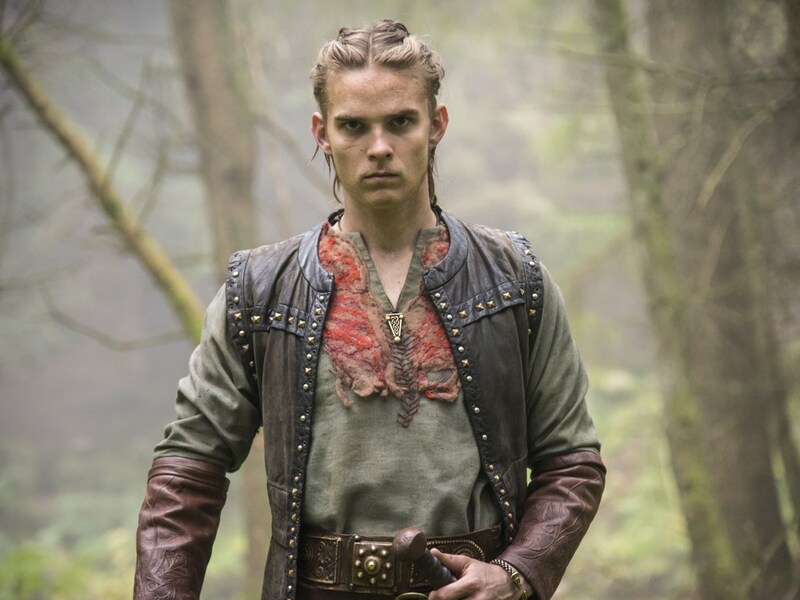 Hvitserk is asking a few times if he is going to Paris with Ragnar. When Ragnar decides that Hvitserk is at the age to go and sail with Ragnar to Paris. He gets his arm ring. During that trip, he is only allowed to watch and learn. At the camp in Paris, he is the one that needs to save and keep the stocking and tents good when Ragnar is away. But with the surprise attack by Roland at the camp, he is in need to save himself together with Yidu and Ubbe. After seeing Yidu murdered by his father we don´t see him anymore. When we see him again he is up at the cabin after a hunt and is grown-up. After he heard what had happened to the settlement he wants his father to come back. He wants Ragnar dead. When suddenly out of nowhere Ragnar returns he wants to see for himself. Ragnar dares him to kill him.